In my previous blog post I described how to install the Microsoft Azure Stack TP2 PoC on lower hardware specifications. Because my home lab does not run 24/7 I had to think about the correct shutdown and startup order for the Microsoft Azure Stack Technical Preview 2 VMs. The Azure Stack TP2 consists of one physical Hyper-V host and 13 VMs. First I want to let you know which VMs are belonging to the AD domain. Per default every VM will be set into save state when you shutdown the Hyper-V host. This is not a problem when you are running Azure Stack on the recommended hardware. On lower hardware specification it is an issue. My shutdown sequence is the following one. The VM MAS-DC01 will shutdown together with the Hyper-V host. 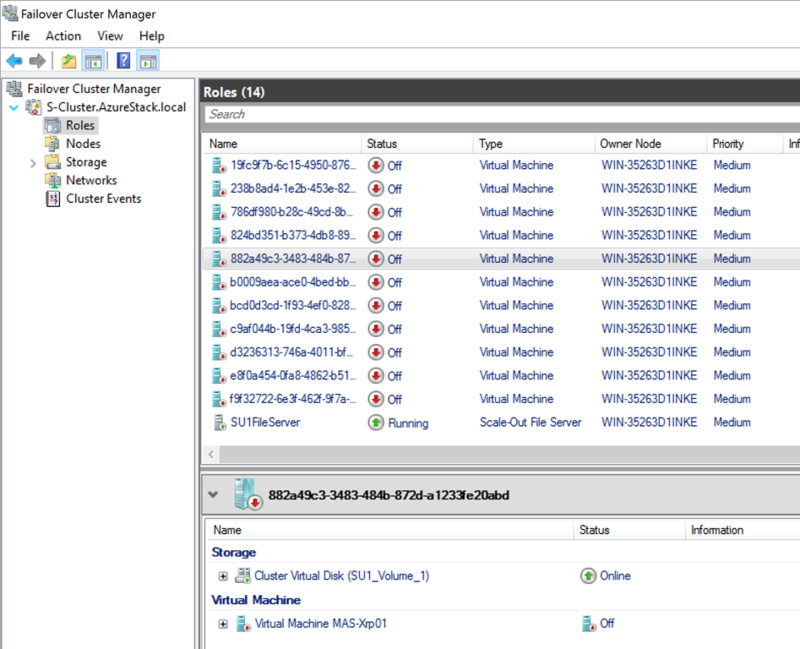 During the startup of the Hyper-V host only the VM MAS-DC01 will start automatically. The other ones will be started through a PowerShell script after the RDP login. But there is one issue left. After the startup of the Hyper-V host you will only see the DC01 and CA01 or at least only the DC01 VM in the Hyper-V Manager. 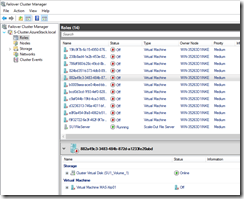 So you cannot use Start-VM for the start sequence of the other VMs. Because that all VMs are a cluster role, this is not a issue. The startup order is the following one. This entry was posted in Azure, Hyper-V / SCVMM, Windows Server and tagged Azure Stack, Cloud, Hybrid Cloud, IaaS, Microsoft Azure, PaaS, Preview, Private Cloud, Public Cloud, Testing on 17. October 2016 by Daniel.